Imagine yourself at the tables of Monte Carlo, playing bridge with the masters of the game... with Omar Sharif, world famous bridge columnist and card player, as your partner and personal tutor! 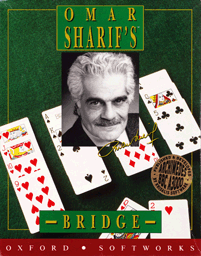 Omar Sharif's Bridge is the world's first talking bridge game featuring a choice of ACOL or Five Card Majors bidding systems, stunning graphics, sound board support, on-disc tutorial and easy-to-use graphical interface. 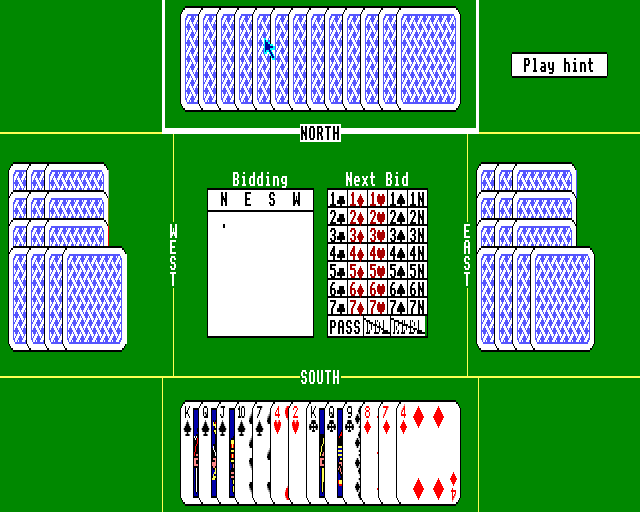 Omar Sharif's Bridge, designed for players of all standard, gives literally millions of possible hands, simulating the game with full realism. Additionally, the fully integrated tutorial, with commentary and help features, is designed to teach the game to beginners. You'll hear Omar Sharif congratulate you on a bold finesse, or suggest another lead if your game needs fine-tuning. High-resolution full-colour graphics allow you to select from several types of card decks while the user-friendly interface makes bidding and playing fast and intuitive. 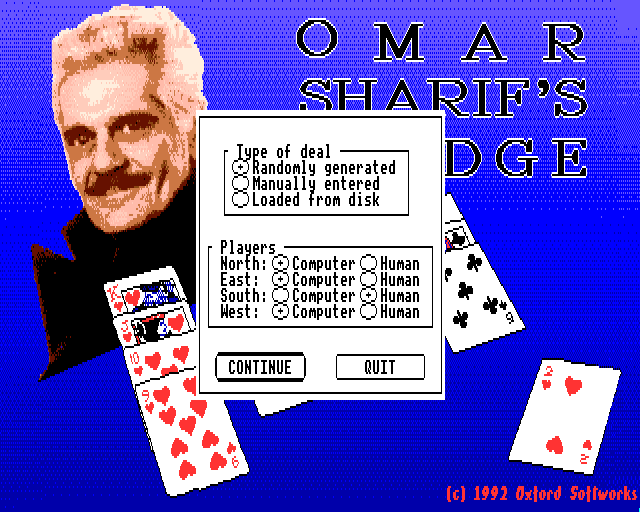 The many features of Omar Sharif's Bridge give you complete control over the game. You can set up your own hands to practice slams, no trump hands, defensive play, or work on specific weaknesses of your game. Explore alternative lines of play with 'Take Back' and 'Rebid' features. With the on-disc tutorial, Omar Sharif's Bridge is the perfect way to learn to play the world's greatest card game... with Omar Sharif as your own personal tutor.